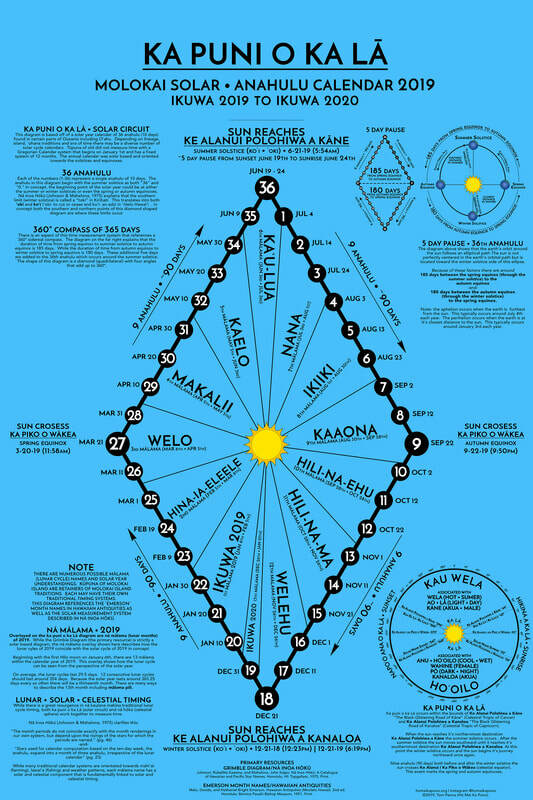 From a single divine source our living world is balanced by two unique energies- mana wahine (female energy) and mana kāne (male energy). It is is obvious as ao (day/light) and pō (night/darkness). 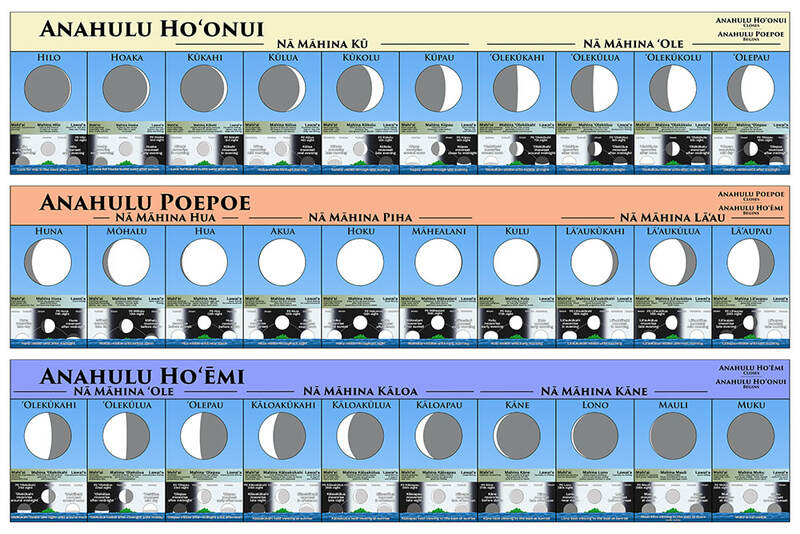 Shapes, directions, sounds and numbers can be seen in their principle wahine and/or kāne essences. 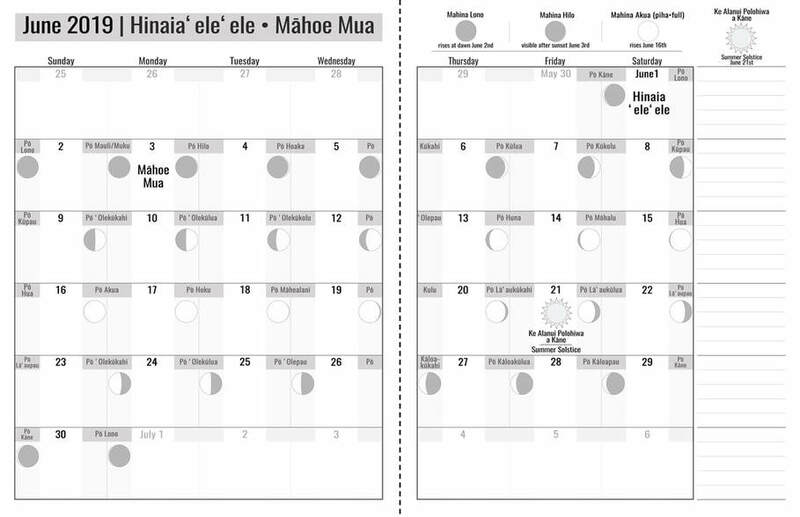 The layout of an entire community can be seen as a dynamic interaction between wahine and kāne. In the most peaceful eras of abundance and stability, the social climate was typically matriarchal. In a way, through recognizing that life incubates, grows and is born within wahine, our actions need to be harmonious with and supportive of the perpetuation of mana wahine. 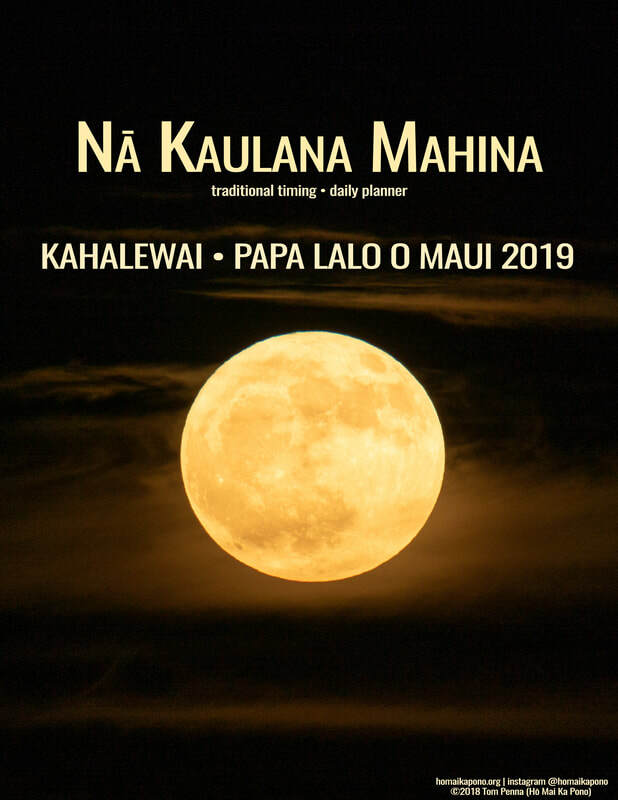 Our piko na‘au, the most intimate connection humans have links us to our nā mākuahine (mothers). Upon birth, this intimacy felt in our na‘au expands into the world of phenomena we call "life." The feeling of intimacy that was completely normal 1,000 years ago also made it completely normal to find balance in a wahine-centered social model. This hui is designed to create a comfortable space for wahine to remember a feeling of resonance that was once the foundation of peace, stability and harmony. The ‘ohana era of Hawai‘i nei was based on Aloha as described in "Tales from the Night Rainbow" by Pali Jae Lee and Koko Willis. During this era the common theme was a matriarchal, wahine-centered ‘ohana, community and island group. We will explore this model together. 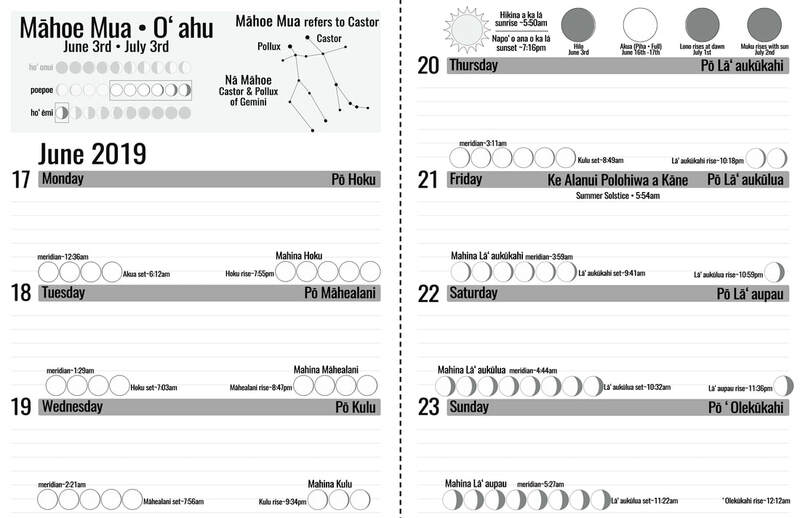 Planner features 155 pages with local mahina (moon) rising, meridian and setting times. Printed at 8.5" x 11" with spiral binding.